Basketball star Stephen Curry and pop singer John Legend are joining ex-President Barack Obama, to address the audience at Obama’s “My Brother’s Keeper” initiative. Obama’s foundation, created after the 2012 death of Florida resident Trayvon Martin, announced Tuesday that Obama, Curry, and Legend are to team up this month for the foundation’s “MBK Rising” event aimed at supporting young boys and men of color to escape gang violence, the Hill reported. “They will join President Obama in celebrating the achievements of organizations and communities leading the way in reducing youth violence, growing impactful mentorship programs, and improving life outcomes for boys and young men of color,” the Obama Foundation announced in its press release. Other participants include “Ben Carlton, co-founder and national fellowship director of the BMe Community; Rev. Wanda Johnson, CEO of the Oscar Grant Foundation; Karol Mason, president of John Jay College of Criminal Justice; Rashad Robinson, president of Color of Change, and Shawn Dove, the CEO of Campaign for Black Male Achievement,” the paper reported. Curry has supported the foundation’s efforts before. In 2016, Curry and Obama appeared in a video for the My Brother’s Keeper initiative. 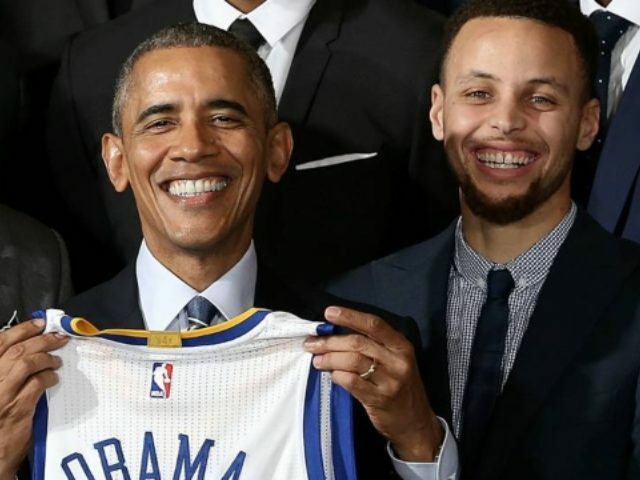 Curry and his teammates also met with the ex-president instead of meeting with President Donald Trump to celebrate the Golden State Warriors’ 2018 NBA Championship.